VMware continues to expand beyond its traditional role in the virtualisation market into areas such as cloud computing and software-defined data centre offerings, and the company’s bets on these areas are paying off, reports Enterprise Cloud News (Banking Technology’s sister publication). The firm released its third-quarter financial results, beating Wall Street expectations by $0.07 per share and sending the company’s stock up about 3% in after-hours trading. In a statement, CEO Patrick Gelsinger notes that the company’s momentum carried through the quarter, and he expects that trend to continue. In comments to analysts, Gelsinger says IT spending continues to favour a hybrid model that combines elements of on-premises data centres with a shift to public and private cloud, with applications running on a number of different platforms depending on their needs. “A lot of the new IoT and edge use cases that are trending right now are bringing things back on-premises,” Gelsinger says. To increase its cloud portfolio, VMware has entered into an ever-expanding partnership with Amazon Web Services (AWS), which is considered the global leader in Infrastructure-as-a-Service (IaaS). At the AWS re:Invent 2017 customer show this week, the two companies announced that VMware workloads would now be able to run on a “very large scale” within the AWS cloud. VMware is also releasing new migration and other developer tools. However, VMware is also expanding its portfolio beyond cloud and virtualisation. Earlier in November, the company announced that it would acquire VeloCloud, an SD-WAN start-up that will let VMware go deeper into enterprise data centres and service provider networks. The company can now better emphasise its software-defined networking capabilities, as well as its ability to deliver services through the cloud, especially to branch and remote locations. The numbers that VMware released tell the tale of this cloud and software-defined strategy. During the third quarter, the company posted revenue of $1.98 billion, an 11% increase from the third quarter of 2016 when revenue stood at about $1.78 billion. For the quarter, GAAP net income stood at $443 million or $1.07 per share, a 43% increase from the same time a year ago. Non-GAAP net income increased 17% to $553 million, or $1.34 per share. Wall Street analysts had been looking for non-GAAP net income of $1.27 per share and revenue of $1.96 billion. 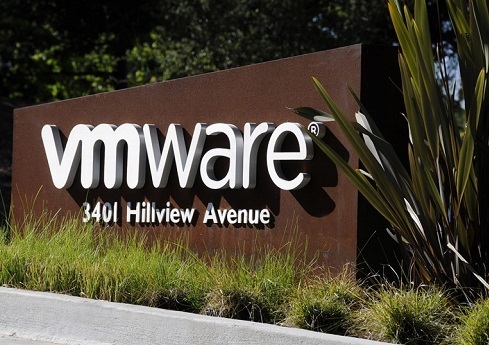 Looking ahead, VMware is predicting fourth-quarter revenue of $2.26 billion and non-GAAP earnings per share of $1.62. For its 2018 fiscal year, the company is offering guidance of $7.88 billion in revenues and non-GAAP earnings per share of $5.13. Although VMware is a publicly traded company, the virtualisation company is now part of Dell, which is privately owned. Dell is expected to offer its own quarterly financial report on 7 December. The company continues to absorb its EMC acquisition, as well as branch out into new areas, such as IoT. Dell Technologies is looking to leverage the various parts of the company into a new internet of things (IoT) strategy that focuses on the edge of the network, hyperconverged infrastructure at the middle, cloud computing in the data centre, as well as the end points picking up all the data.